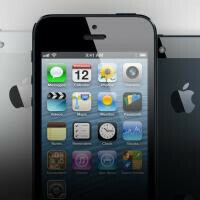 Is Apple preparing a cheaper iPhone for developing markets in 2H 2013? Here is a rumor that we haven’t heard for a while - Apple is reportedly pondering on releasing an affordable version of its iPhone for developing markets in 2013, Taiwanese DigiTimes reported based on its mysterious ‘industry sources’. The publication known for it hit-or-miss record with Apple rumors expects the new and cheaper iPhone to make an official appearance in the second half of 2013. Separately, sources have speculated Apple is willing to jump to a larger screen size for the affordable iPhone as the industry shifts towards 5-inch displays. As good as this might sound to some, to our ears it is just not all that likely to happen given the recent bump to 4 inches and Apple’s 2-year release cadence. What’s interesting is that DigiTimes points out that the success of the iPad mini is what may have pushed Apple into thinking it should also release an affordable iPhone. Further theories even match Qualcomm’s more affordable S4 models as candidates for that rumored device. At the same time, we do know that Apple has started making its own chip designs, so it would be a bit strange for it to suddenly jump ship to Qualcomm. Most of those are rumors we’ve heard before, but that have not really materialized. Take them with the usual grain of salt, but do let us know whether you think this time the market has changed and is ready for such a move. Everything is possible with Tim Cook. Everything come up must come down. Anyway, Tim Cook migh decide to make cheaper iphone but I extremely doubt it. Even he is CEO but Apple is public company and board direct can over rule his decision. Maybe at the price of today's best android phone?Who knows. Exactly, what i am thinking... Affordable ain't so affordable according to Apple's terms. The current Iphone is actually worth 50$. Hahahahahahahahahahahaha (hint: I'm LMAO!) hahahahahahahahahahahahahahaha!!! Apple making a CHEAP model? In what universe??? whoever come out with the idea most be sniffing old wet socks. Can anybody tell me about the latest iphone available in the market. do u live under a rock !!!!!!!!! How about cutting your excessive profit margins for everyone to benefit from? lm glad reason is that people was saying that apple phone is for who can afford it or who had money to buy it an look it now making phone for cheaper an who have to thank for Samsung for giving choices to the people so those hyporite can see this a affodarble phone hahaha!!! lm glad to hear that report!!! This is what Apple will probably do: Raise the price of the next iPhone 5S by a hundred dollars when it's released (From regular $200 to $300), iPhone 5 dropped to the regular "1 generation below" price of $100. So iPhone 5S is $300 and iPhone 5 is now $100. iPhone 5S is $200 cheaper than iPhone 5, therefore making the iPhone 5 "affordable". Smart move by APPLE as this would be for those consumers who live in countries that do not offer subsidized phones...good ole APPLE, always one step behind. Your right, that could work for Apple in other countries that would love to have the iPhone. But just like here in the states, once some of the other country consumers start to realize how far their iPhones are behind the local competition they'll too realize that they are better options available. But at least those who don't really care about the technological advances will be able to say they have an iPhone.